Infused Arnica Oil is especially useful for the treatment of bruising, sprains and other musculoskeletal injuries. 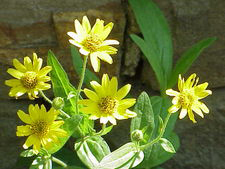 Arnica oil is especially useful for the treatment of bruising, sprains and other musculo-skeletal injuries. If used directly after a strenuous workout, arnica oil may be helpful with muscle stiffness and pain. Caution: Do not apply arnica oil directly to broken skin.